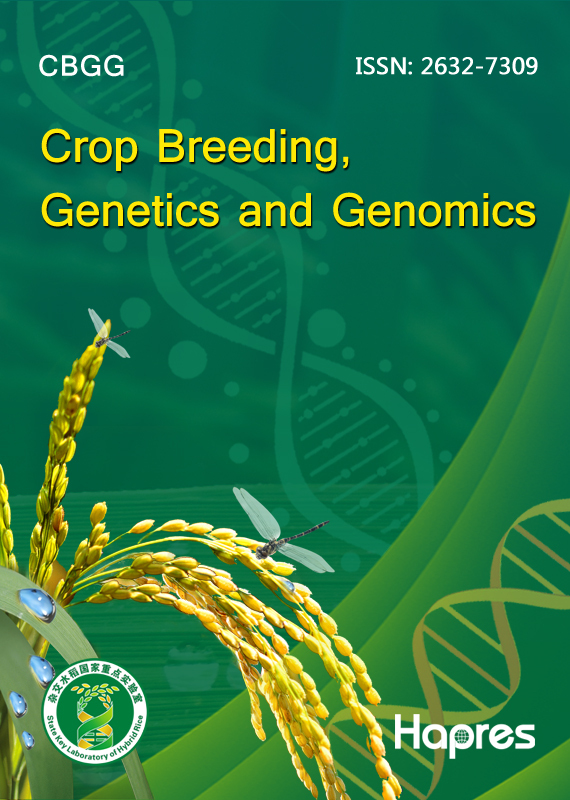 Crop Breeding, Genetics and Genomics (CBGG) is a journal jointly launched by the State Key Laboratory of Hybrid Rice and Hapres. Academician YUAN Longping serves as the Honorary Editor-in-Chief. CBGG is a quarterly peer-reviewed open access journal dedicated to provide the latest advances in the areas of crop breeding and evolution, genetics, functional genomics, bioinformatics and biotechnology, including cereals, legumes, oil crops, root and tuber crops, horticultural crops, and other cash crops. It aims to promote research communications in the areas of crop science by providing a unified forum for scientists working in agriculture and botany to share their latest findings with a broad audience worldwide. CBGG publishes original articles, reviews and communications in a timely fashion. There are no restrictions on word count, number of figures, or amount of supporting information. Academician YUAN Longping, the Honorary Editor-in-Chief of CBGG, is widely acknowledged for his discovery of the genetic basis of heterosis in rice. As rice is a self-pollinating plant, it had been long assumed that developing vigorous hybrids was not possible. Professor Yuan’s work disproved this assumption. By 1974, Professor Yuan has commercially released a hybrid rice variety. In the subsequent three decades, hybrid rice has developed and widely spread to China, India, Vietnam, the Philippines, USA and other countries, resulting 20 percent higher yields than conventional varieties. Based on his tremendous contributions to hybrid rice research and the world’s food security, Professor Yuan was elected as a member of the Chinese Academy of Engineering in 1995 and a foreign associate of the US National Academy of Sciences in 2006. He has been developing new high-yield varieties of rice that can grow in alkaline paddies with substantial advances in recent years. Professor Yuan has spent his life working to feed a world hungry for rice and has helped transform China from food deficiency to food security. The State Key Laboratory of Hybrid Rice was jointly established by Hu’nan Hybrid Rice Research Center and Wuhan University, approved by the Ministry of Science and Technology of China in 2011. The objective of the laboratory is to undertake research on: (1) the mechanism of rice heterosis; (2) the mechanism of rice reproductive development and fertility; (3) hybrid rice germplasm innovation and gene discovery; (4) super hybrid rice breeding; (5) hybrid rice seed production; and (6) hybrid rice physiology and ecology of super high-yielding cultivation. The laboratory has so far published more than 600 papers in prestigious journals and received numerous awards, such as National Scientific and Technological Progress Special Award, Second Prize of the Chinese National Natural Science Award, and Second Prize of the National Technological Invention Award.